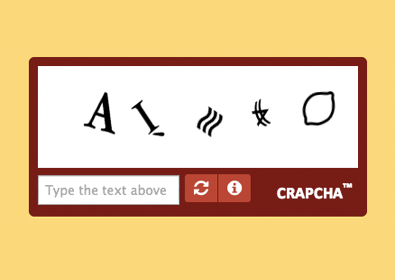 The Completely Ridiculous And Phony Captcha that Hassles for Amusement (CRAPCHA) is an embeddable fake CAPTCHA test that is intentionally indecipherable and impossible to complete. 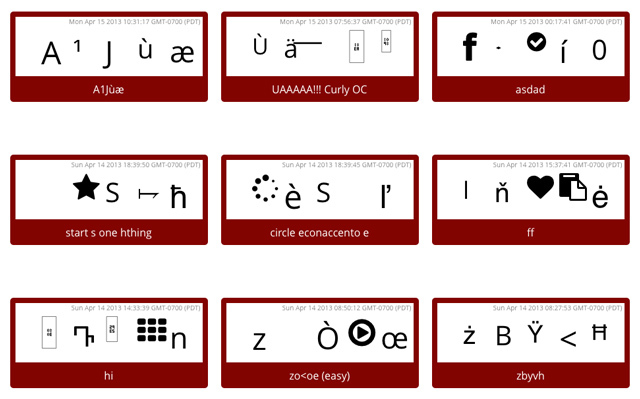 CRAPCHAs can be easily embedded into a website—user responses to the impossible tess are posted on the CRAPCHA website. CRAPCHA was created by human-computer interaction researcher Thomas Park.